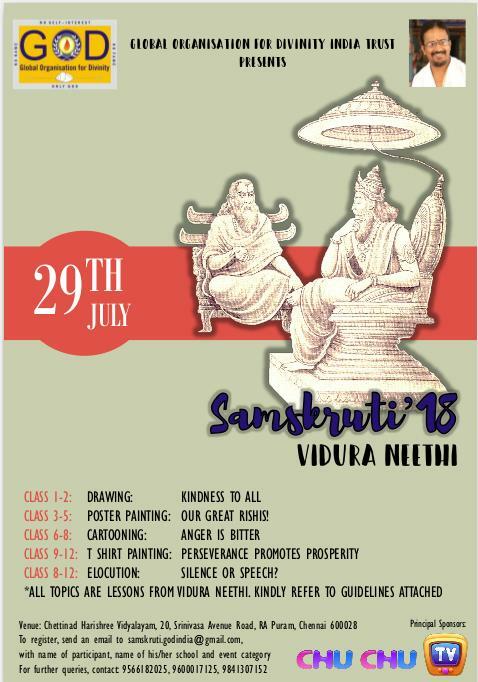 Global Organisation for Divinity presents a wonderful opportunity for children to explore the greatness of Vidura Neethi and present it in an art form! 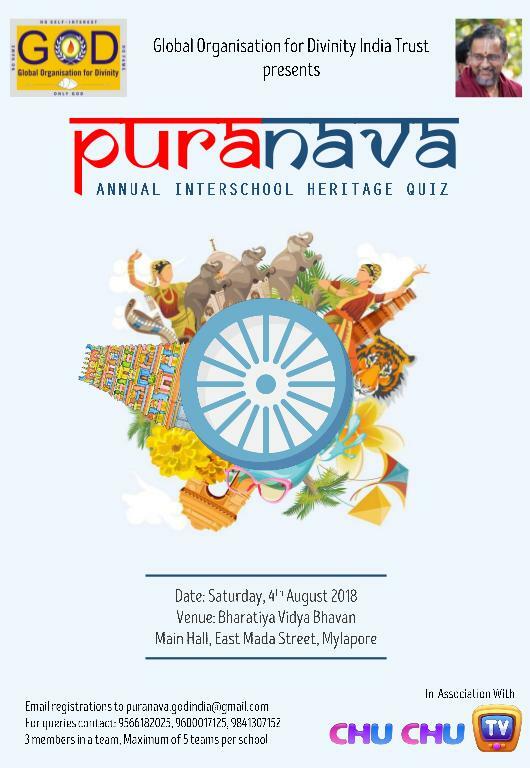 Prizes will be given off on the same day a little after the event. Please contact the organizer directly.